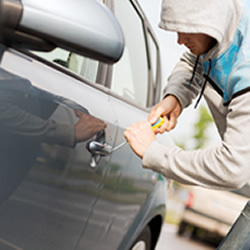 It was another busy year for car thieves as data from the Office for National Statistics revealed almost 70,000 incidents of vehicle theft were reported in 2014 alone! Despite thefts falling 1.2% on the previous year and car manufacturers investing billions of pounds into clamping down on car theft, on average a staggering 190 cars were nicked each day, proving more needs to be done to eradicate the problem plaguing the country! Almost 50% of the cars stolen were taken without keys, which shows even the most sophisticated vehicles are vulnerable, and in some cases much more desirable to thieves who are looking to make some quick cash, £££! So how can you stop yourself from becoming just another statistic? Unfortunately, no car is entirely safe from thieves! But don’t fret, that doesn’t mean you can’t do anything to reduce the risk! Installing a tracking device into your vehicle could prove the difference in seeing your car again or it becoming a distant memory should the unthinkable happen! In fact a tracking device could prevent your vehicle from being stolen in the first place as many of the tracking devices we supply here at Tracker Fit utilise the most sophisticated Automatic Driver Recognition and Remote Immobiliser technology, helping to prevent the thief speeding off into the sunset in your most prized possession. The simplest, and arguably, the most effective way to keep tabs on your vehicle around the clock a tracking device uses the latest GPS, GSM and VHF tracking technology! Equipped with sophisticated motion sensing technology tracking devices can detect any illegal movement of your vehicle, helping to ensure you don’t become another statistic. 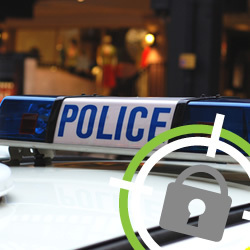 Whether you’re fortunate enough to own a luxury vehicle or you’re the proud owner of a vintage car, a tracking device can provide you with the peace of mind that your car is protected around the clock. So if you’re looking to avoid becoming just another statistic and require more information on our selection of tracking devices we stock here at Tracker Fit feel free to get in touch with our team of experts. Call us on 0800 096 3092 for expert advice and guidance.